Dark Shadows is the first release by The Moviolas ensemble based around the talents of composer and multi-instrumentalist Waldo Fabian, lyricist and scenarist Philip Hayward and video artist Grayson Cooke. The band came together in 2014 to produce music that draws on the sonic traditions and atmospheres of cinema ‘re-versioned’ to work as stand-alone music. Combining songs, dialogue and narration with a variety of instrumental textures and feels; the Moviolas’ music creates vivid scenarios and dramatic fragments of narrative in audio form. The tracks on Dark Shadows develop themes from Horror films and fiction, exploring urban legends from North and South America in a variety of musical styles. Complementing these originals, the album features new arrangements of the classic themes from the films Halloween and The Shining that weave into the album’s flow of diverse musical energies. ‘Trick or Treating’, that draw on key themes in youth-orientated films from John Carpenter’s original Halloween to the I Know What You Did Last Summer series. Other tracks function as virtual ‘mini-movies’, providing an atmospheric narrative in a short format. ‘The Last Tango’ is an intense cameo that relates the story of a tango band’s performance being cut short when a zombie contagion takes over the audience. 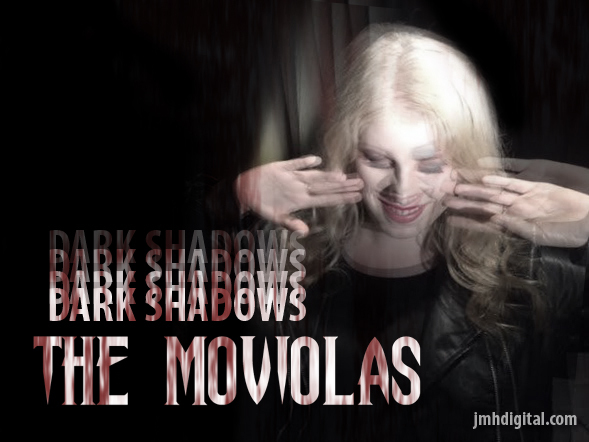 Tracks also draw on scenes from Latin American cinema and folklore, such as the album’s atmospheric title track, inspired by the popular 1960s TV horror series, Dark Shadows but rendered as a chilling tale of exile. ‘Pincoya’s Revenge’ also mobilises figures from Chilean folklore to enact revenge on corrupt intruders, set to an intense sound collage. Been digging this for awhile now, it's got a little style for everyone... if you like homage music to some of the greats.